The actor who played Lorelai's love, Luke, wants to know if loyal viewers are interested in becoming his readers. The future of "Gilmore Girls," if there is one, remains a mystery for now, but there might be a surprising new chapter on the way. Actually, several chapters — maybe even a whole book! 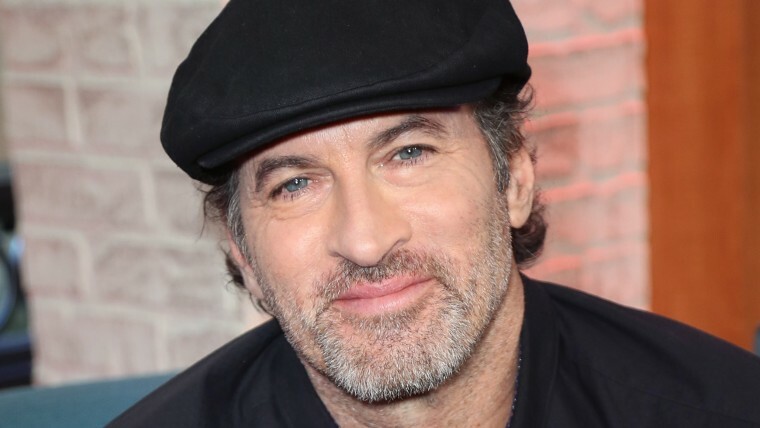 According to Scott Patterson, aka Luke (aka Lorelai's love), he's been approached to pen his own take on the "Gilmore" experience. "They want me to write a Gilmore book, what it was like," he told his fans and followers in a tweet Thursday. "On the fence. Would y’all read it?" The answer to that was swift and unanimous. In short: Oh, yeah! Absolutely! I want to know everything!! Omg!!!! Yes!!! Do it! Please! And you have to do the audiobook for it too! We want to hear your voice reading it. I’d listen to it and read it every day!!! So, if Patterson had any doubts, they should be long gone by now. There's definitely interest in a tell-all tome — or anything else "Gilmore" related. That should come as no surprise. After all, the last televised trip to Stars Hollow — Netflix's "Gilmore Girls: A Year in the Life" — instantly left fans clamoring for more. And they were only too happy to visit real-life versions of Luke's Diner when given an all-too-brief chance. In fact, Peterson's fans are even drinking Luke's coffee. Almost. The actor is serving up his own brew — Scotty P's Big Mug Coffee — these days. But we've got to say, in Lorelai and Rory's world, that's not even close to a big mug of java.